While many people may already be dreaming of where to travel during next year's 10-day Golden Week, there are concerns that the extra-long holidays could cause major delays at medical facilities and lost income for some wage earners. In anticipation of such problems, including transportation havoc, lack of accommodations and extended working hours for holiday-period workers, public and private entities are taking various measures. Legislation to designate May 1 and Oct. 22 of next year as one-off national holidays, when Crown Prince Naruhito will become emperor and his enthronement ceremony held, was passed by the Diet on Dec. 8. That means that there will be 10 consecutive Golden Week holidays, from April 27 through May 6. Teaming up with the health ministry and medical associations across the country, a national body of hospital associations decided to consider concrete measures to address possible strain on medical facilities, manpower shortages and medicine shortages during the holiday period. Takahiro Inoue, deputy director of Chiba University Hospital, voiced his concerns over scheduled operations for bone fractures, cancer and other diseases, saying, “Most hospitals don't have extra operating rooms and they cannot handle an increase in the number of daily operations. Concerned that mildly ill patients might flock to emergency rooms of core hospitals, Inoue stressed that "clinics and core hospitals should set up days to see patients, even during the holiday period." As one-third of a one-month period will be days off, there are also concerns over lost income for hourly and day wage earners. 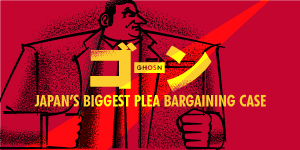 "The law is being decided based on the circumstances of regular workers who receive monthly wages," said Shuichiro Sekine, secretary-general of Haken Union, a labor union that allows non-regular workers to become members. “A drop in their income by a third is a matter of life or death and measures to make up for the lost income are essential." Chief Cabinet Secretary Yoshihide Suga said at a news conference on Dec. 7 that the government is mindful of the various concerns. "The longest Golden Week we ever had was nine consecutive holidays. We, as the government, will do everything we can to ensure that people's daily lives are not disrupted."